3. On the basis of zero-voltage start-up, an automatic frequency sweep repetition start function is added. The voltage and current loop circuits are closely tracked, the equipment starts and stops smoothly, and there is no current impact. 7. Highly integrated circuit solutions, debugging and operation are fast, easy, easy to learn. 1. Heating speed, less oxidation and decarburization As the induction furnace induction heating principle for the electromagnetic induction, the heat is generated due to the workpiece itself, the heating speed up fast, very little oxidation, heating efficiency, good process repeatability, metal The surface is only slightly discolored, slightly polished surface can be restored mirror bright, effectively obtaining a consistent material properties. 2. A high degree of automation, can be fully automated unmanned operation, improve labor productivity. 3. Uniform heating, high precision temperature control Heating uniformity, to ensure that the temperature difference between the core table heating is small, through the temperature control system can accurately control the temperature to ensure product repeatability. 4. 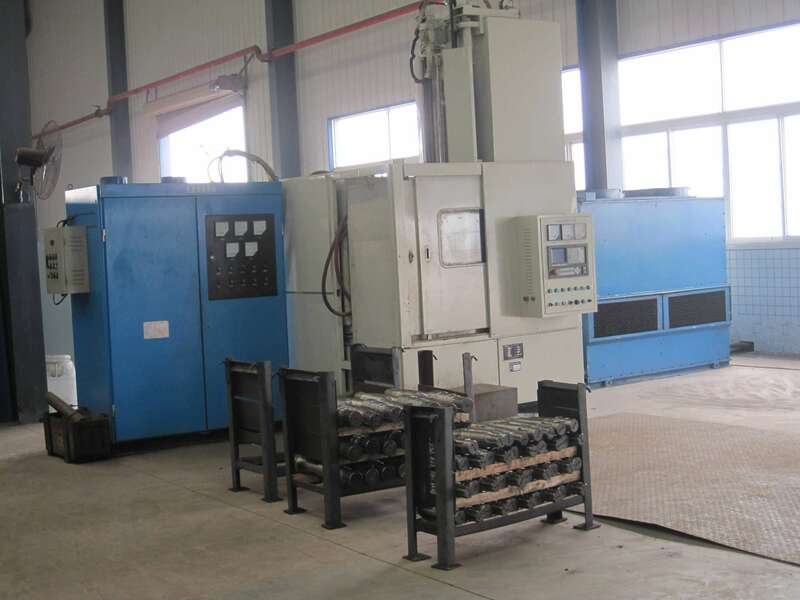 Induction furnace easy to replace According to the different size of the workpiece, the need to configure different sizes of induction furnace body. Each furnace are designed with quick connector, so that the furnace replacement is simple, fast and convenient. 5. Complete equipment protection The machine is equipped with water temperature, water pressure, lack of phase, over-voltage, over-current, voltage / current limit, start over current, constant current and buffer start, the device starts smoothly, reliable and reliable protection, stable operation .